We offer a wide collection of Card Holders ideal for gifting purpose. Card Holders that we offer are made from high quality materials and accredited for their compact design, lightweight, excellent finish and maximum storage capacity. Card Holders that we offer are available in different designs and feature black PU construction along with stylish oxidation-free aluminum silver plate. 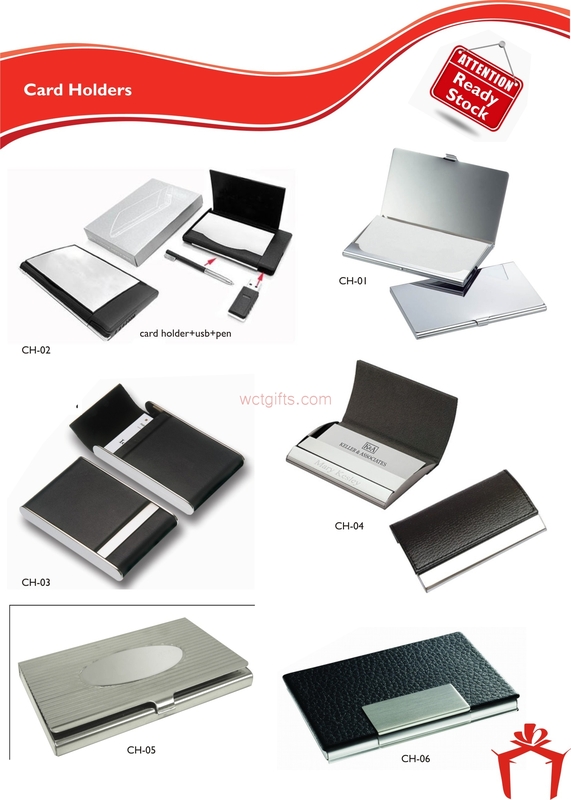 Our Card Holders help in storing all the important cards at one single place and also protect them from damage.